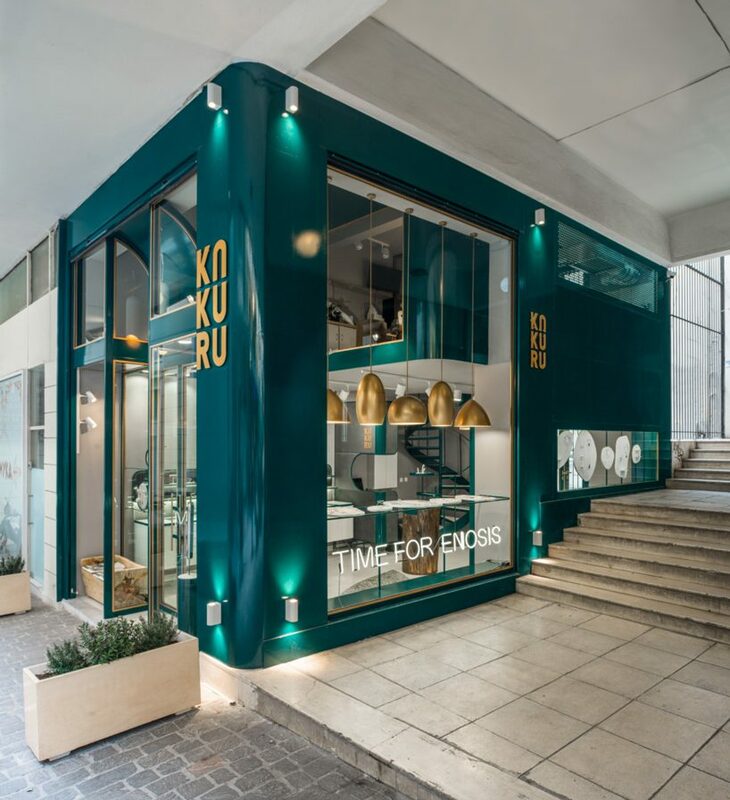 Urban Soul Project combines natural materials, brass and bronze colored accents with a vibrant petrol color for Kakuru, a small, double-story jewelry store in the historical center of Athens. The design for the jewelry store was inspired by the jeweler’s creations. 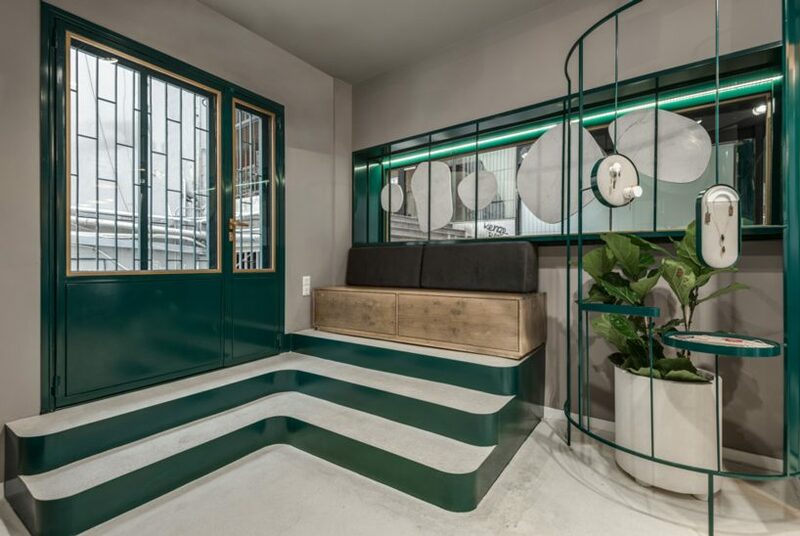 The creations are often accented by jewels in a dark to light green color combined with wood or other natural materials encased in brass and gold. 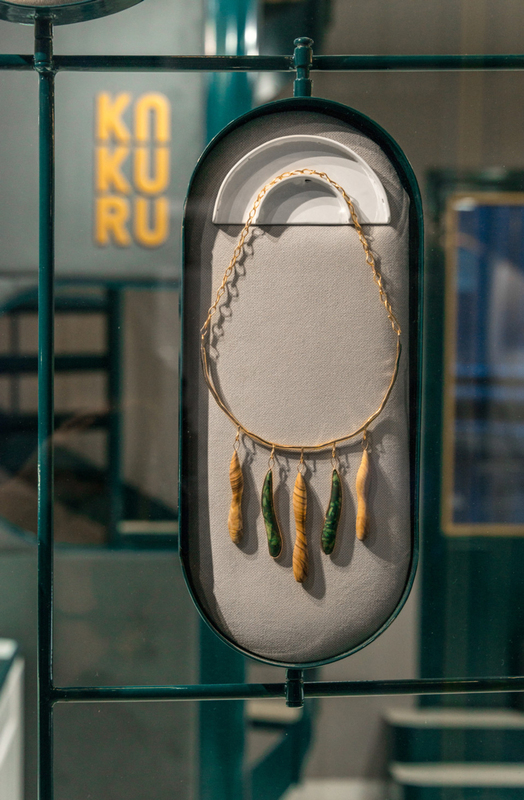 The contemporary rustic design of the store features an open and airy space with each jewelry design displayed like a work of art in suspended cases. Several wooden furnishings unfinished with their natural grain are placed throughout the store such as a wooden bench and a display podium. 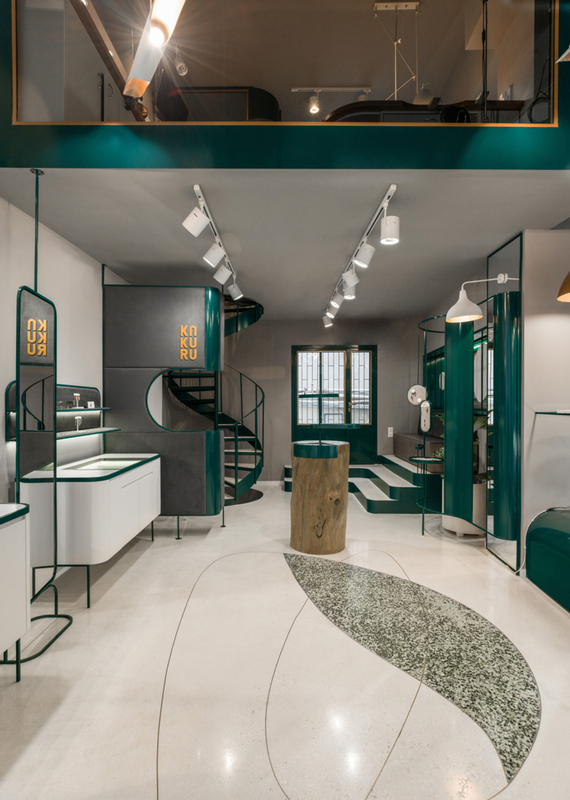 Other elements are also included in the design such as a curved staircase leading to the upper level, a wavy marble accent on the terrazzo floor and brass hanging pendant lamps varying in lengths. 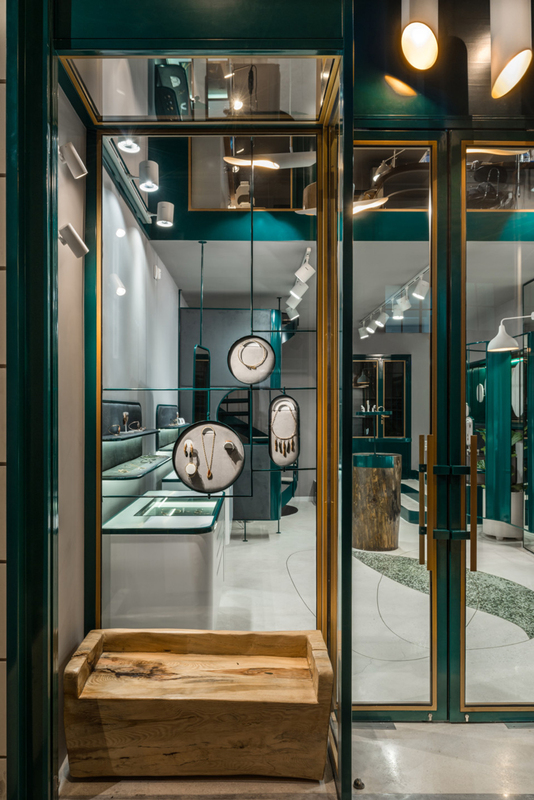 The jewelry store design accentuates the beauty of the jewelry on display and vice versa, creating a visual feast for the eyes that goes beyond the wearable artwork showcased.